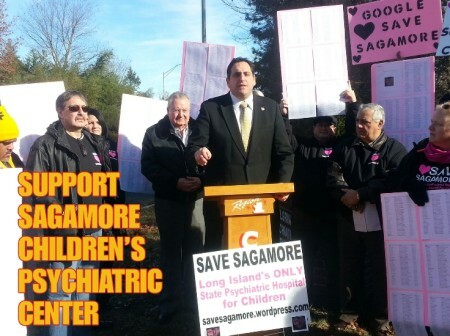 Assemblyman Chad Lupinacci launched an online petition in support of the Sagamore Children’s Psychiatric Center. Residents can sign on to show their support for the facility by clicking here. Under the current proposal by the Office of Mental Health (OMH), in-patient services would cease at Sagamore and many children suffering from mental health aliments could be forced to travel into Queens or the Bronx for care. “Unfortunately, the proposal put forward by OMH would be detrimental to the long-term health of our young people and our community. We have a responsibility to provide quality mental health services to those in need, especially the children, and that’s why I’m working hard to ensure those services continue,” concluded Lupinacci.